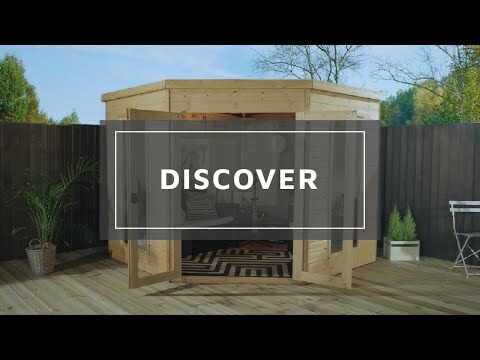 This 8ft x 8ft Corner Summer House is a great space to relax outside, and take in the views. Its unique design allows it to neatly fit into a corner, maximizing space while minimising impact on the rest of your garden area. The large double doors, along with the pre-glazed windows create a light and airy space that is perfect for entertaining or as a hobby room. The fully glazed doors come with a mortise lock for security and are fitted with styrene which as a safe, shatterproof alternative to glass. This summerhouse will make a fantastic addition to any garden, large or small. Its sturdy design is constructed by 12mm thick tongue and groove cladding; with generous 27mm x 44mm framed panels for durability and resistance to the elements. The solid sheet board flooring and roof are hard wearing and durable, supplying you with many years of use. Our Reply:Good morning,I am pleased that you are happy with your summerhouse and that assembly was straight forward. Thank you for taking the time to offer your much appreciated feedback. Thank you for taking the time to let us know you're pleased with your purchase. Look forward to doing business with you again! Review:Awaiting parts despite making two phone calls and promises that they will be delivered. I tried calling earlier and left a voice message regarding your query about the roughness of your timber and if I can assist with this, please contact me on either 0800 029 1000 or service@waltons.co.uk. Review:Found the product to be more flimsy than I had anticipated as panels only use 25mm supports and roof and floor very flimsy. Plastic used for windows very thin and rattled in the frame, however, with some additional supports, sealant and a coat of paint the summer house does look good. Thank you for taking my call earlier and I am glad that now erected, you are happy with your summerhouse. We take your comments on board as we are always looking for ways to make improvements where necessary. Thank you again for your feedback. Review:I am still awaiting my summerhouse ordered on 16 August!!! It is fantastic that you are so pleased with the quality of your summerhouse and I am sure you will have many happy years of use from it. Thank you again for taking the time to leave your positive review - it is much appreciated! It is wonderful to know that you are so pleased with the quality and value of your summerhouse and I am sure you will have many happy years of use from it. Thank you again for your feedback! I am glad to know that you are happy with the service and value for money of your summerhouse. I am sure you will have many happy years of use from it. Thank you for taking the time to provide your positive feedback. It is wonderful to know that you rate the service supplied as being excellent and that you are also very pleased with the quality of your summerhouse. I am sure you will have many happy years of use from it and I thank you again for your great review! 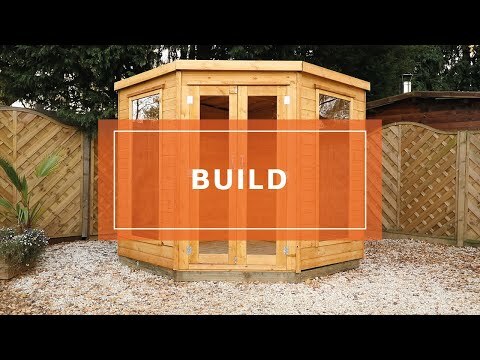 I am glad that you are pleased with the quality of your summerhouse overall and should you require further assistance, please contact us on either 0800 029 1000 or service@waltons.co.uk. Thank you again for your feedback and we take your comments on board. Review:No hassles at all So straight forward company to deal with . Thank you very much for your great feedback, if you would like to share some images when you have finished painting your new Summerhouse that would be great. Review:good value compared with other suppliers. I am glad you found your summerhouse to be of good value for money especially in comparison to other suppliers. Thank you for taking the time to review your purchase. Our Reply:I am glad you are happy with your summerhouse overall and that assembly was straightforward. We appreciate your comments as we are always looking for ways to improve our service and products. Thank you again. Our Reply:I am glad that you are happy with the value for money and that you are pleased with your purchase of the summerhouse. I am sure you will have many happy years of use from it.